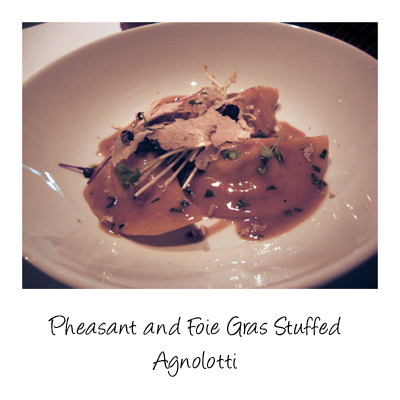 Last year we missed out on the white truffle dinners at Il Bacaro but not so this year. As soon as we were informed that Alba white truffles were on the way we swiftly booked a table. 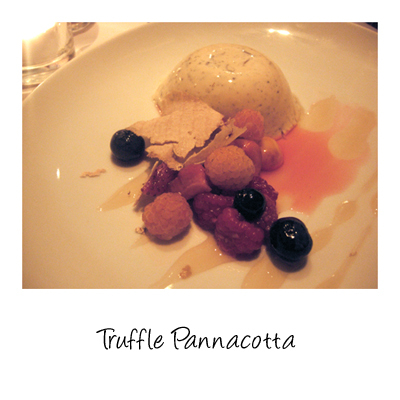 The truffles were available as an extra - in either an entree or main course size to accompany the regular menu but a truffle degustation option was also available which unsurprisingly was the route we took. One of the nicest things is that the truffle is shaved at the table so you don't miss out on any of those wonderful aromas. Tender, thick fingers of white and green asparagus, beautifully soft yolks on the deep fried quail eggs, it is wonderful to dip the tips of the asparagus into the yolk. 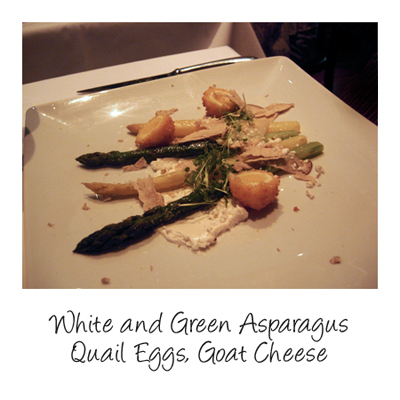 Adding an edge is the goat cheese spread and the truffle bring you back into the forest with an earthy flavour. Unbelievable creamy white polenta is an amazing match to the texture and taste of scallops - a more usual accompaniment we've often experienced is pureed corn but I'm really taken with the idea of using polenta (after all it is corn). 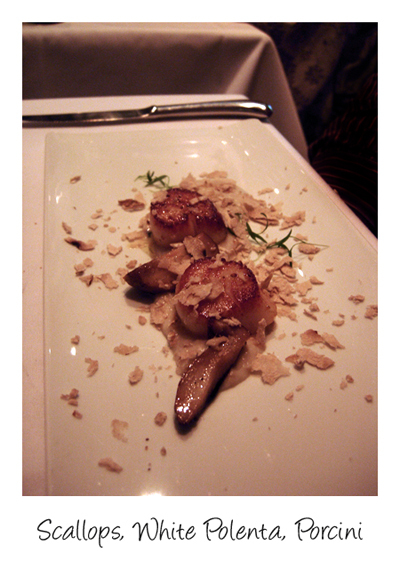 The porcini and truffle once again bring a contrast to the sweet flavours of scallop and polenta. 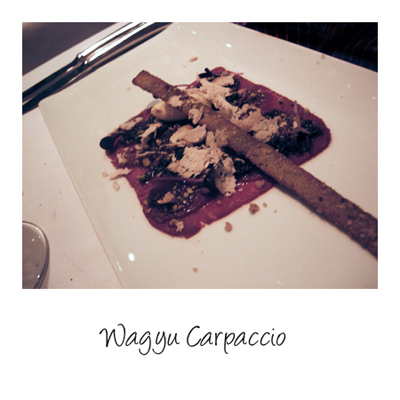 The Wagyu is so tender and soft it's spreadable and it is topped with an onion jam and served with a pistachio wafer. Heavenly aromas when the truffle hit the warm duck broth, you can just sit and breathe it in for ages. 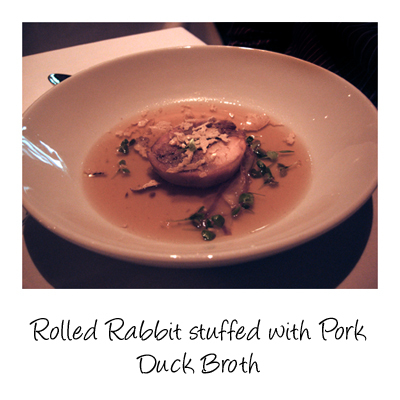 The pork stuffing added an almost sweet flavour the dish but also added a richness to offset the leanness of the rabbit. A luxurious dish in every sense of the word. The last of our savoury dishes is also quite light and gentle - a small fillet of snapper and mussels cooked in a paper bag, the cooking juices form the simple sauce. Alongside are fried zucchini slices. Who would have thought that Truffle Pannacotta would turn out to be the best pannacotta we've probably ever had. It's made with black truffles and then topped with white truffles at the table, the berry salad zings with life and the truffle honey puts it right over the edge. What a fantastic way to end a wonderful evening. hello, the degustation sounds delish! 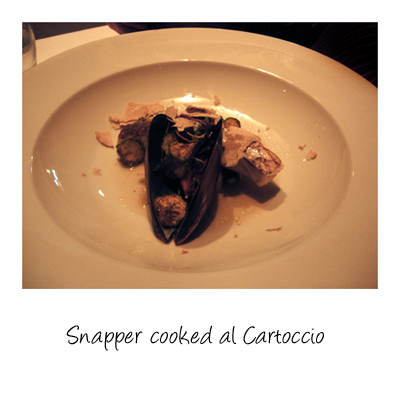 - just wondering how much was the degustation? It all depends on how many courses you have.